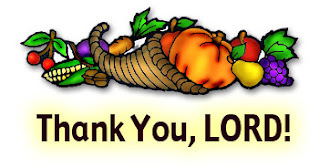 First, I want to wish all of my bloggy friends a very Happy Thanksgiving. I am most definitely thankful for this wonderful community that has helped me, inspired me, encouraged me, and supported me in every part of my teaching career and even some parts of my life. From way down deep, thank you! Next, this week the students spent some time writing acrostic poems and creating tissue paper turkeys. But that was just the beginning of our fun! If you have never heard of or used Blabberize, it is worth checking out asap. Here's why - after the students finished their turkeys, they took a picture of them. From there (in the interest of time) I used Preview (on a Mac) to add the label to each photo. Then we uploaded each one to Blabberize. Once a child's turkey was on Blabberize, it was a quick adjustment of the mouth piece and they were ready to record their acrostic poems. Click the sample below for some Thanksgiving cuteness. Now Blabberize allows you to save completed projects. This is fabulous because I used last year's projects for this year's motivation. The kids couldn't wait to get started. The downside of Blabberize is that you have to take a project from start to finish in one sitting. You do not have the capabiltiy of uploading all of your photos first but that's okay. The time it takes to upload and adjust the mouthpiece is minimal. Check it out for yourself by clicking the image below. But the fun did not stop there. Last night, in the middle of prepping for Thanksgiving, I shared each child's project with their family via email. That's one of the positive aspects of Blabberize...you can share a link or embed a video. Oh. My. Gosh. Talk about happy families! This was my second year with this project and it's one that I can doing for many years to come. Here's another sample just for fun. Enjoy!